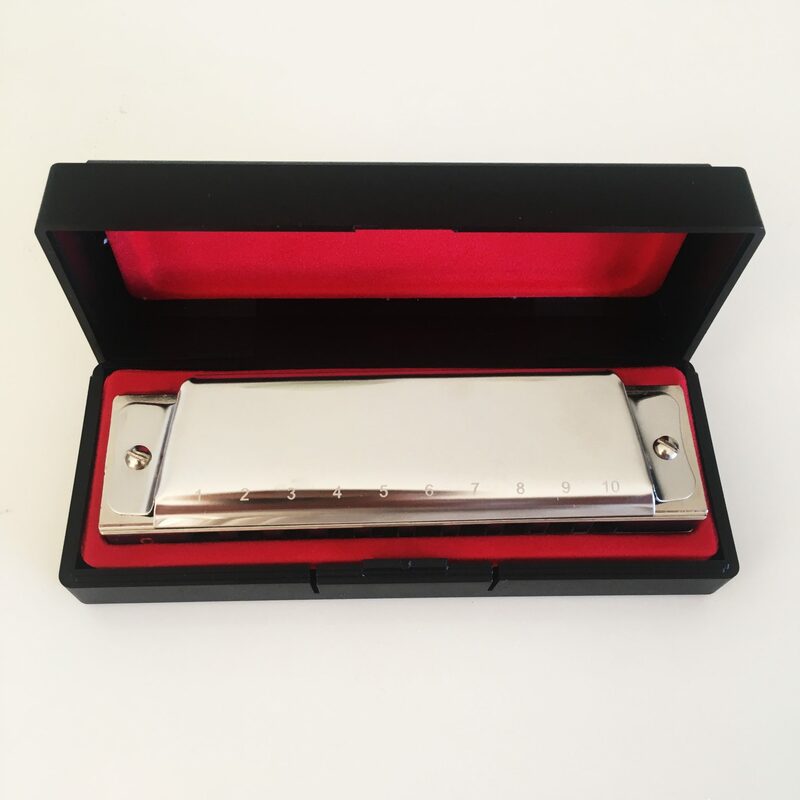 1 x Harmonica and 67 Lessons CD ! Press Play and Blow Away – 67 Lessons CD! Whether your aim is to play blues, traditional or country music then this CD will give you a great start. 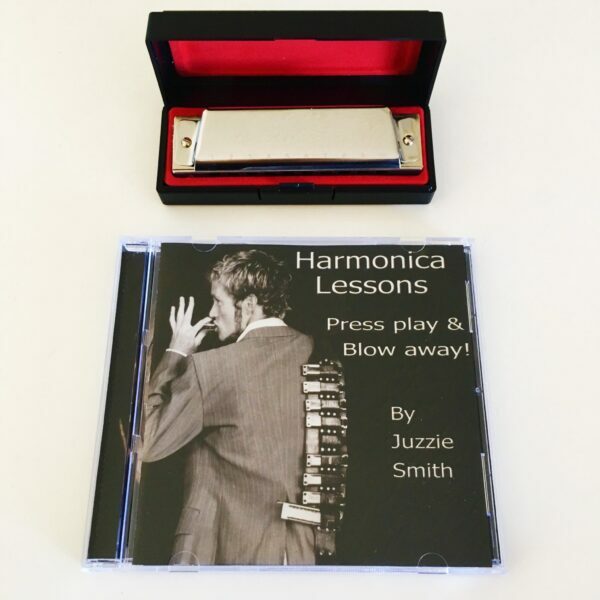 Just listen and learn, as juzzie takes you step by step in a play-full way giving you an enjoyable start to mastering the art of how to play the harmonica. If you want to play like Juzzie then let him show you how. If you want to jam with Juzzie then let the lessons begin. There are jamming tracks so you get the feel of playing the harmonica while Juzzie backs you up on the guitar. 80 minutes with 67 tracks of handy hints, melodies, blues songs and jamming grooves.